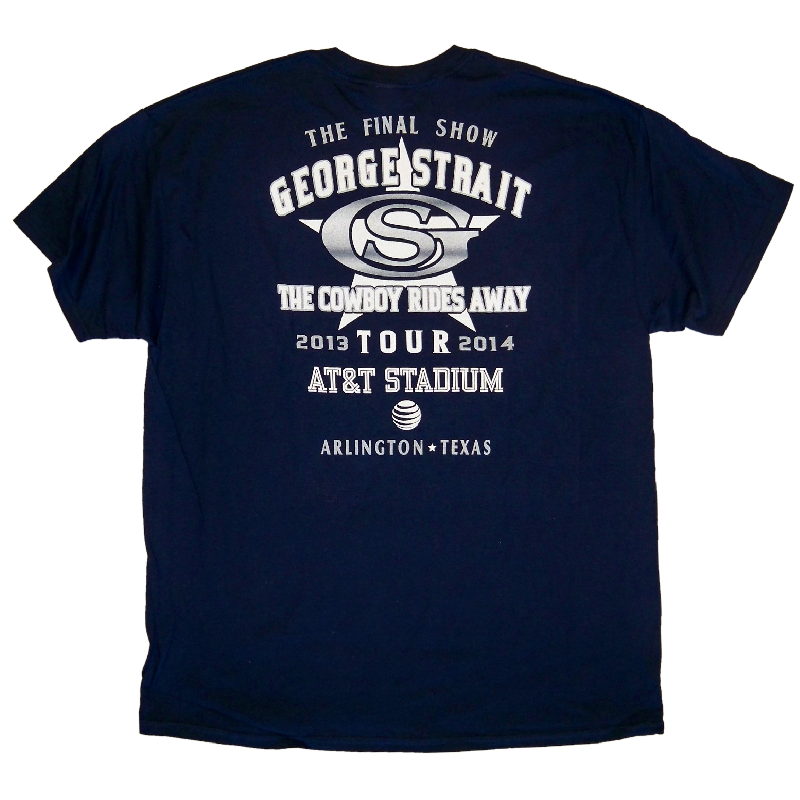 Final Show tee of the 2013-2014 The Cowboy Rides Away tour! Unisex 100% preshrunk cotton navy tee. 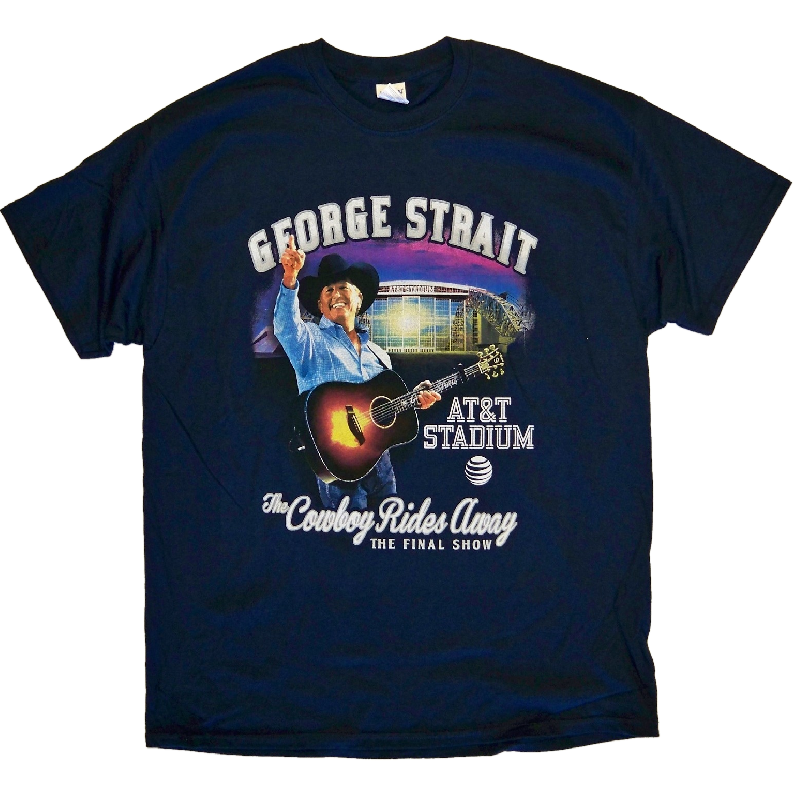 George Strait photo with AT&T Stadium on the front and The Final Show logo on the back.